At ANCA we take our role in the community seriously and have a number of sponsorships and fundraising activities around the world so that our teams can connect with their local community in meaningful ways. Contact ANCA to find out more. To celebrate International Women's Day we have created a video of some of the amazing women at ANCA on their thoughts of working in the industry. Chris Hegarty, Group CEO said, "To acknowledge and support the movement of gender parity, we are celebrating the women who work at ANCA across the world. Happy International Women's Day and I wish to see more women succeed in the manufacturing industry." International Women's Day is a global day celebrating the social, economic, cultural and political achievements of women. It also acknowledges the importance of striving to achieve gender equality in our everyday lives. ANCA Asia donated RMB20,525 to Heart to Heart Shanghai, a charity which provides corrective surgery for Chinese children from all over China with congenital heart defects (CHD) whose parents are unable to afford the surgery. The money was raised by our customers which was then matched by ANCA. It has since been used to fund heart surgery for Liu Moya, a 4 year old from Anhi province. Jeff Foregard, ANCA Asia General Manager said, "With the donations from ANCA and our customers I am pleased to say that little Moya had her heart surgery and as you can see from the pictures, is recovering well in hospital. I was lucky enough to visit her this morning along with her parents at the hospital to check on her progress, she looked like she was well on the road to recovery. Thank you to all the ANCA team members and our valuable customers who donated for this great cause." ANCA’s apprentices have built a sensory board for Interchange Outer East, a Melbourne-based centre for supporting people with disabilities and their families. Last week the apprentices installed the board at the centre where it was a hit with the children in the after school program. Stuart Gurney, Apprentice Master said, “This project taught the apprentices a lot about project management and teamwork. After coming up with ideas and voting for the best one, they had to form a project group with leadership, design teams, and production teams. They also had to set up meetings with the customer to understand and meet their requirements. With some dogged determination, trial and error, they came up with the sensory board that will bring joy to the kids for years to come. A very good outcome." For over 35 years Interchange Outer East has been delivering programs and services that support not only the person with a disability but every family member. As a registered NDIS provider they are ready to help families get the most from their NDIS plan. In 2019 ANCA Australia hosted a “World’s Greatest Shave” event to raise money for Myeloma Australia and support the Rollason family, as well as other members of ANCA who have been personally affected by cancer. Personal donations were matched by ANCA, allowing us to raise an outstanding total of $23,469.05. The money will help Myeloma Australia continue their work in supporting people impacted by the disease. Tim Comport, Software Engineer has been involved in the Code the Future charity which connects volunteer developers with schools and teachers to help students learn how to code. Tim said, "I was looking for novel ways to develop myself and I found a charity called Code the Future. Given my background and experience teaching my own kids to code, I decided to register and was quickly connected with one of my local schools - Beaconhills College." "With support from ANCA Motion I have spent almost 10 hours over the past year and a half mentoring VCE students with projects ranging from robotics to video games. I have also introduced 20+ staff to the world of Machine Tools and my experiences as a professional software developer. I have found this experience very rewarding, and it's great to see the willingness of ANCA Motion to support the wider community and the next generation of engineers." Young Art is a family business that has an old history, and specialises in locally sourced handmade Australian boomerangs. The boomerangs carry special significance for the Gunnai and Waradgerie people from South East parts of Australia. The boomerangs are made from Black Wattle or Red Gum trees and come in five colour combinations that represent the land, sky, waterway and animals from the South East part of Australia. We were lucky enough to film the boomerangs being made and learn more about their significance and story by talking to Young Art. The ANCA Thailand team regularly hold community volunteering activities such as cleaning up the local beaches, coral planting and tree planting. ANCA has been a proud sponsor of RMIT Electric Racing since 2013. After its formation in 2008, RMIT Electric Racing went on to build the first ever electric vehicle for the Formula SAE competition. With a focus on sustainable engineering, a team of RMIT students and staff set out to prove that they could produce a simple, completely electric counterpart for the combustion vehicle competition and continues to be the number 1 placed electric vehicle in Australia. ANCA is one of the first businesses to team up with Australia’s fastest growing business power retailer, Flow Power, to buy power generated by renewable energy sources. An innovative and progressive business model, Flow Power tackles the issue of price and environment with this unique offering. 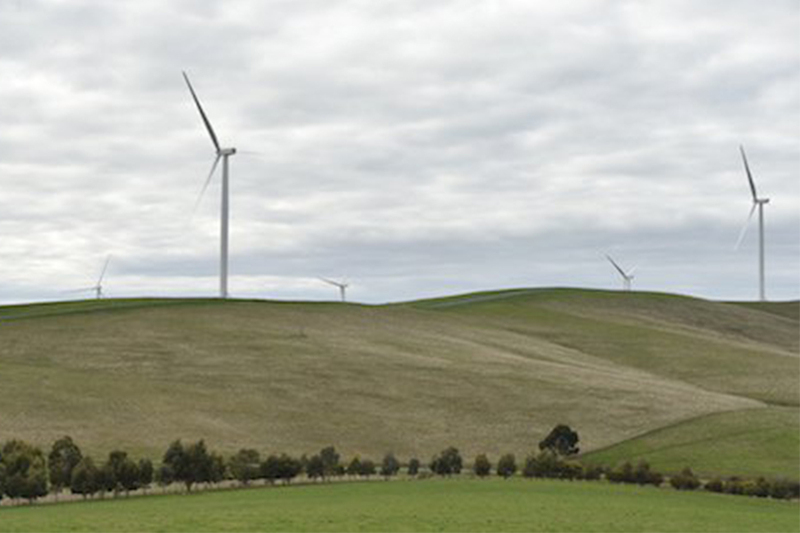 This renewable power, sourced from Ararat Wind Farm, can be used in real time to offset grid electricity consumption, potentially saving thousands of dollars in energy costs.